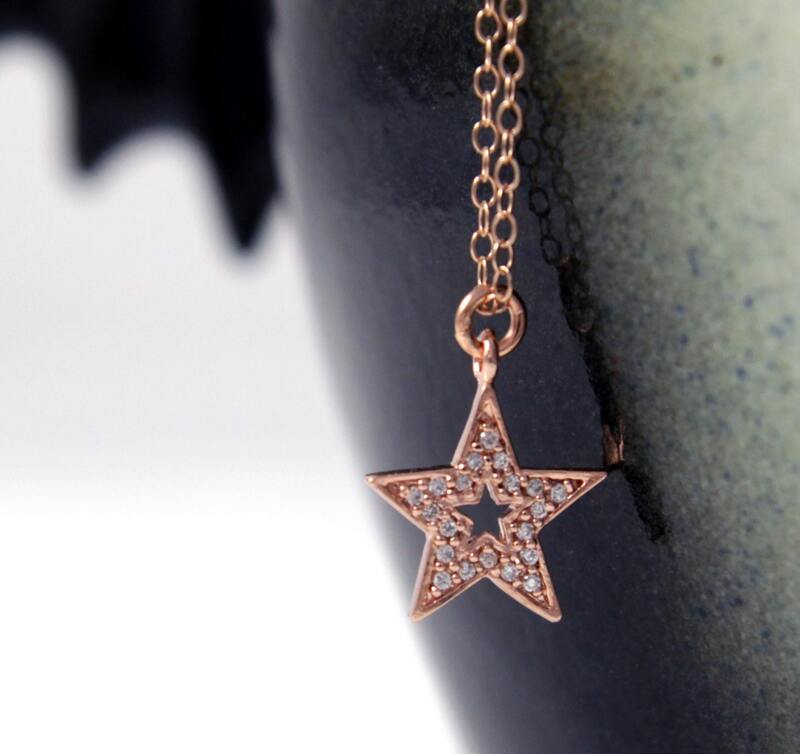 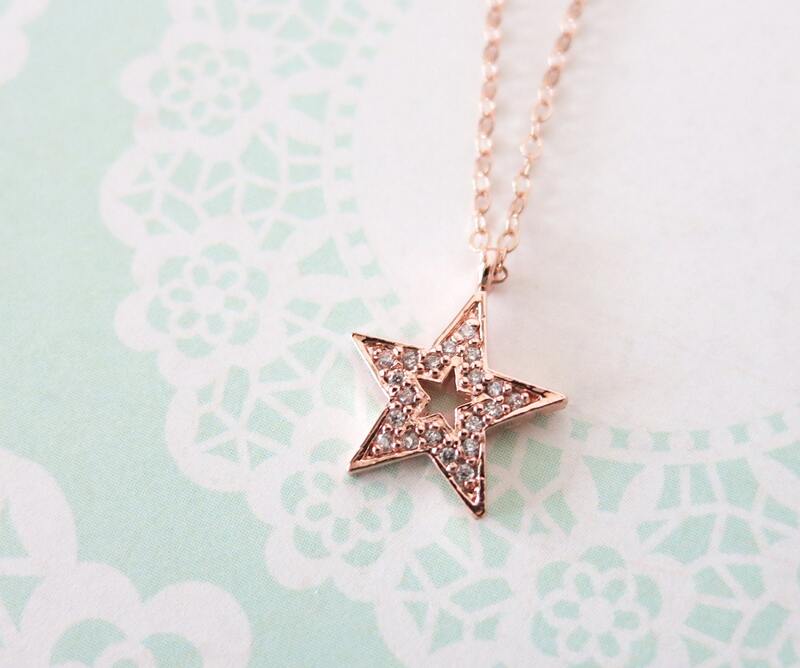 Petite rose gold star on rose gold filled chain, what a prefect way to get and stay lucky. 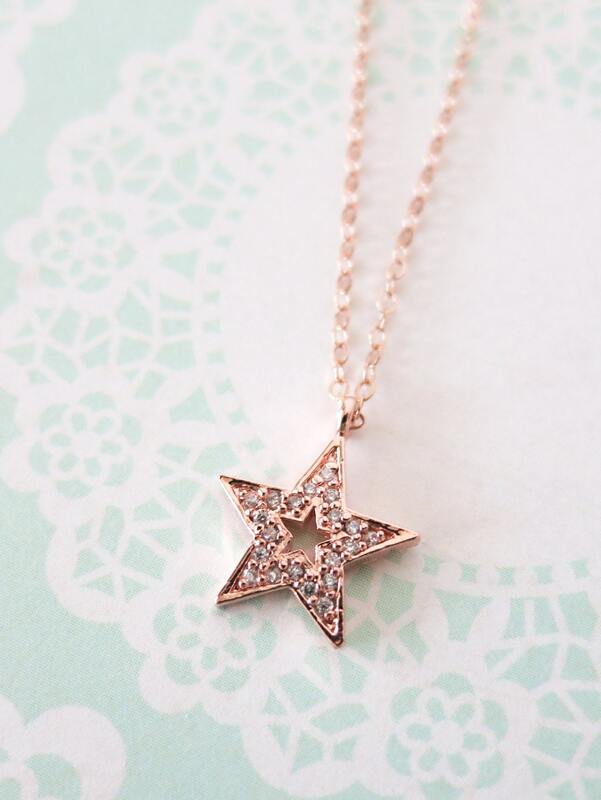 Lucky star is encrusted with cubic zirconia, sparkly and pretty. 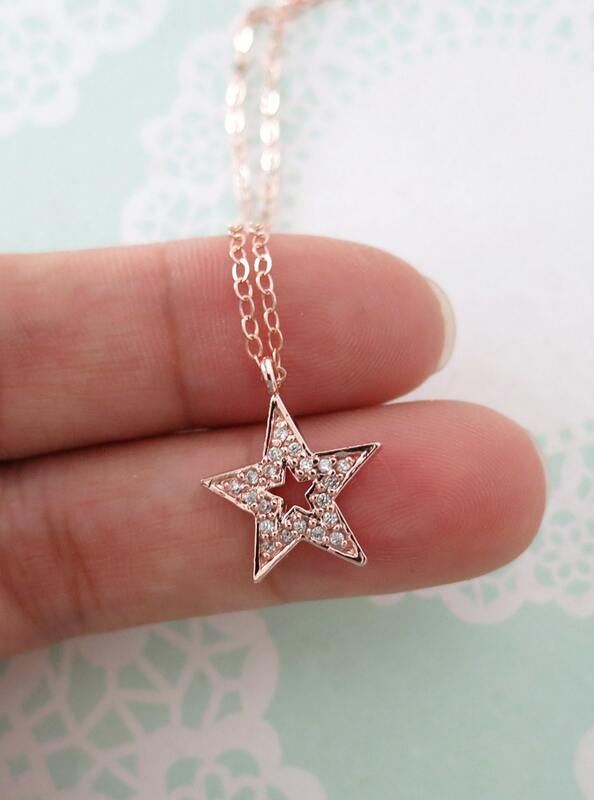 Comes on a rose gold filled 17 inch chain. 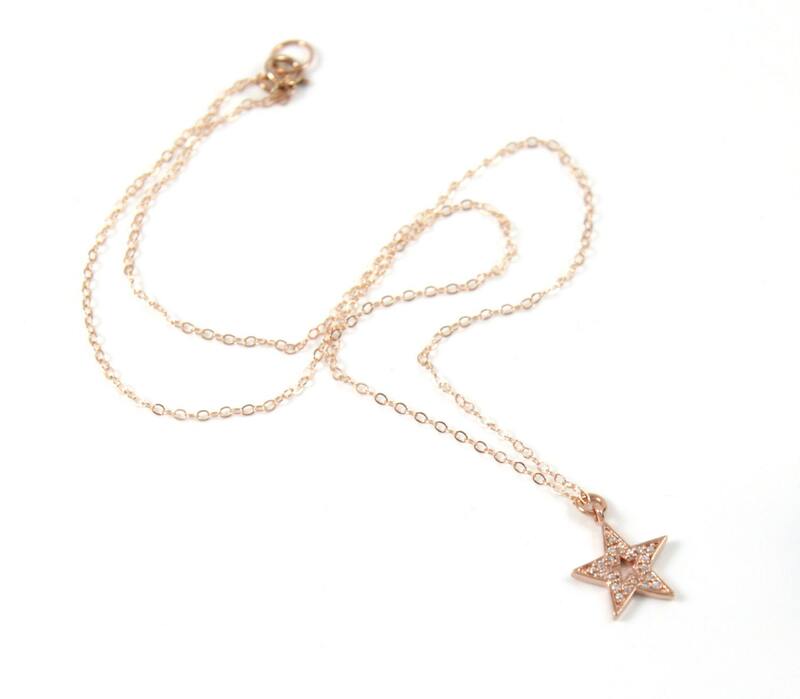 ✦ If you need a longer length, please message me before purchase.